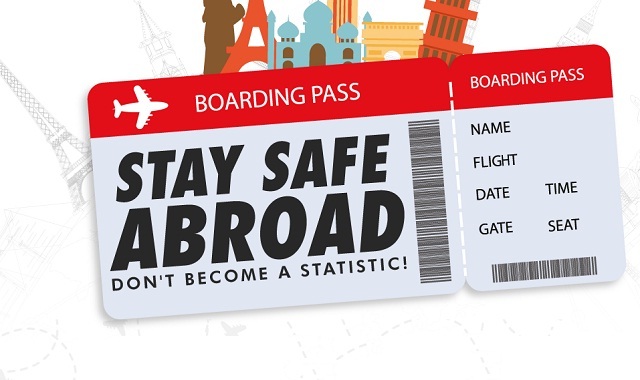 Staying Safe Abroad Don't Become a Statistic #infographic ~ Visualistan '+g+"
In today’s heightened security climate it’s important to stay safe when you’re abroad in an unfamiliar country. During 2016, 65,000,000 British holidaymakers descended onto foreign soil, with 12 million alone heading to Spain. According to travel statistics from the UK Government, 5,132 British citizens reported their passports stolen or ‘lost’ with a further 6,329 in need of emergency travel documents. Spain also saw the highest number of British deaths at 721, followed by the USA with 139 reported. While the majority of us go on holiday to have fun and relax, it’s important to keep safe and always be prepared for emergencies. To help, MyOffers has put together a useful data visualisation with helpful tips from the UK Government.